The beautiful secluded and protected cove of La Jolla in San Diego. Available as stretched canvas prints, acrylic, metal, framed, posters, iphone cases, greeting cards and throw pillows. An impressionist painting of beautiful Myrtle Beach with Springmaid Pier in the distance. 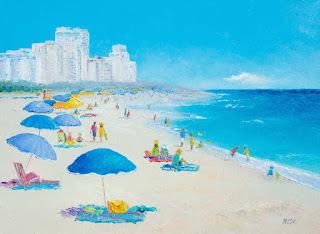 I have over 200 Beach Paintings to choose from in my Beach Paintings Gallery on Fine Art America. An impressionist oil painting of Hampton Beach with Boar's Head in the distance. 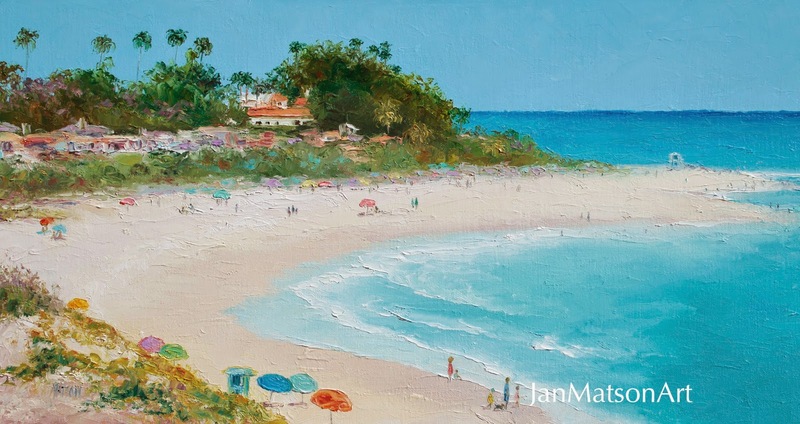 A colorful beach painting for your coastal decor. 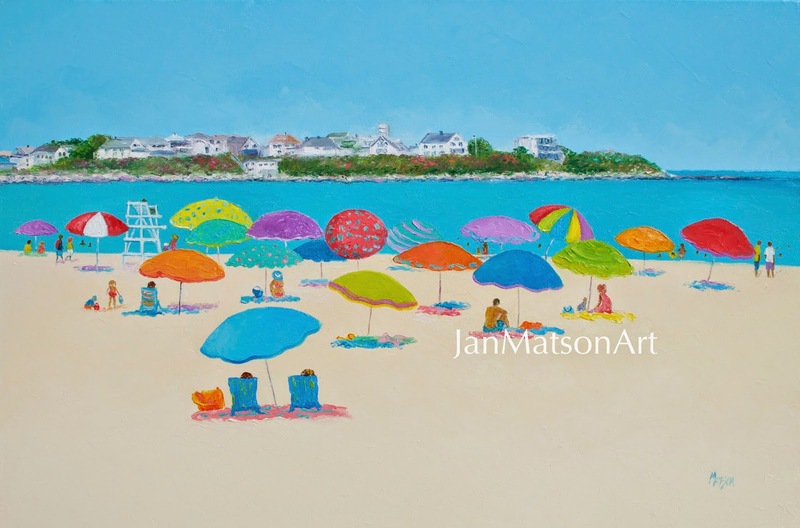 I have over 200 beach paintings to browse. Just click on my name (above left) and go to my Beach Paintings Gallery. 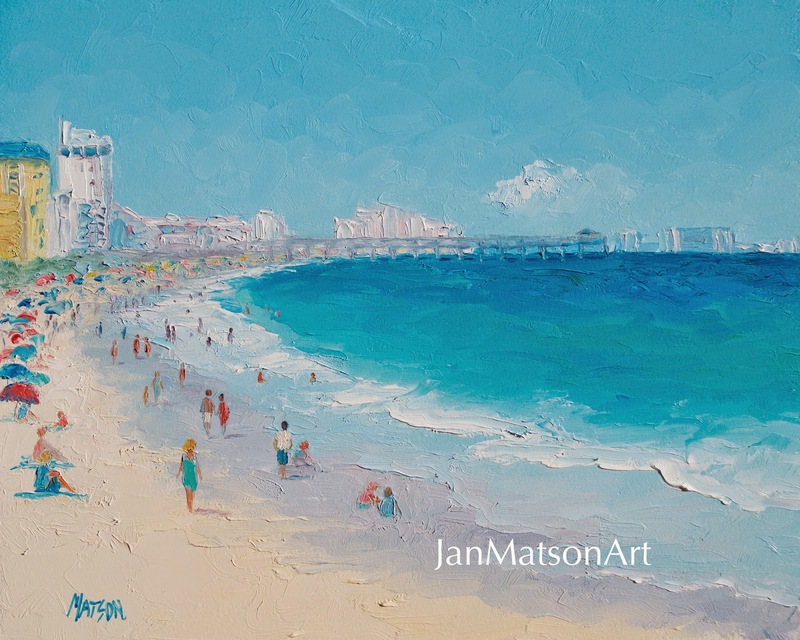 A panorama beach painting of San Clemente, California, painted with a palette knife for a nice thick textured artwork. Florida's beautiful Miami Beach, colorful beach umbrellas and Miami cityscape for coastal decor, beach house decor or for the condo. An original oil painting print available as stretched canvas prints, acrylic, metal, framed, posters, iphone cases, greeting cards and throw pillows.